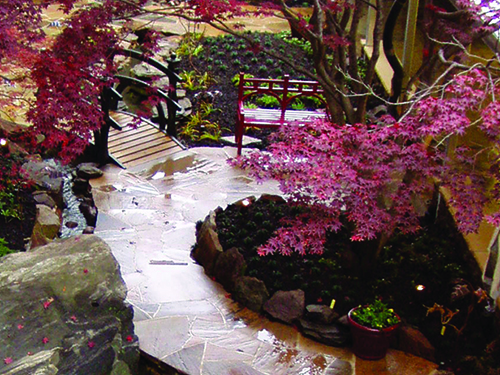 Landscape Architecture | Morris & Ritchie Associates, Inc.
MRA’s landscape architects deliver an aesthetically pleasing, yet functional product. 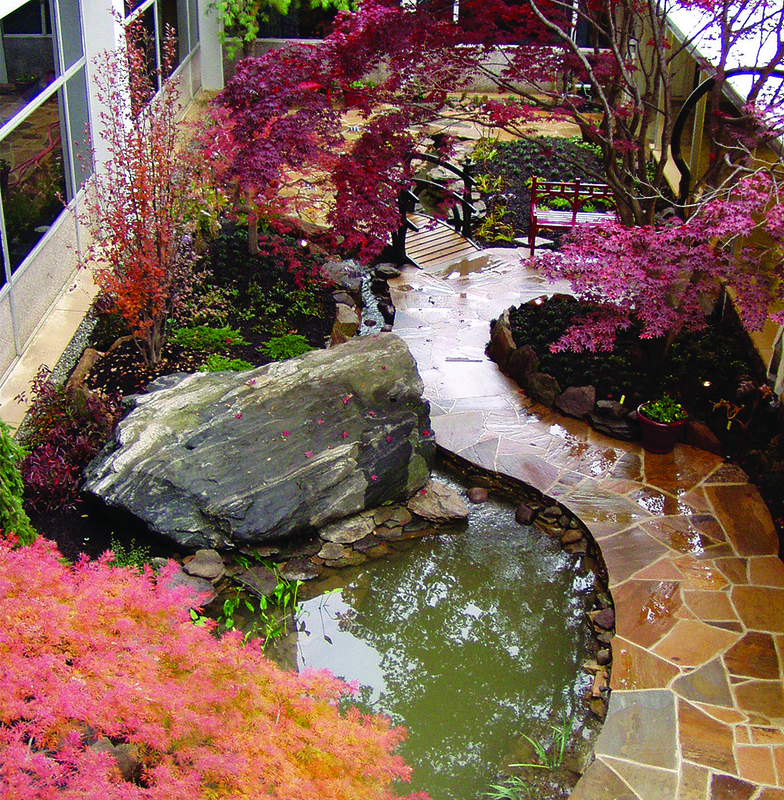 Creating quality landscape solutions is part art and part science. The art includes the right mixture of hardscape and softscape in the right proportions, in the right places. The science involves selecting the right materials that are appropriate for the site and designed understanding the fundamental engineering requirements, such as grading and drainage. MRA Landscape architects have proven time and again that we understand both the art and the science of sound landscape design. Our designs balance form and function and create cost-effective, memorable places that people enjoy every day. 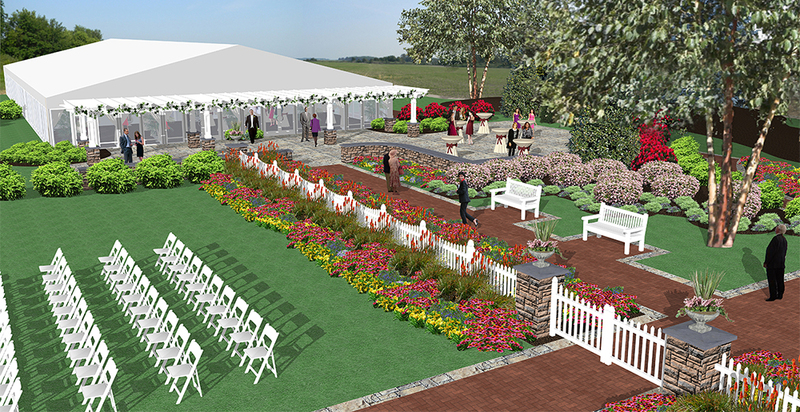 MRA provided site programming and landscape architectural services for expansion of outdoor wedding and recreation amenities at the historic inn with access and views to the Chesapeake Bay. Creating outdoor rooms, directing views, setting arrival sequences, efficient circulation, and maintaining the historic character of the inn were paramount in the site programming exercises. 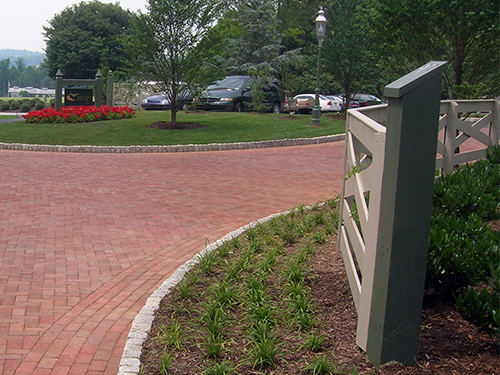 MRA worked with the staff at Kent Manor Inn to develop a wedding venue that included siting an outdoor ceremony space, a reception tent with outdoor patio and landscaping, parking, drop off, and pedestrian circulation and seating areas. In addition, recommendations were made for renovation of existing farm buildings into a bridal cottage, maintenance / storage buildings, and offices, and renovation of an existing silo as a place making element. 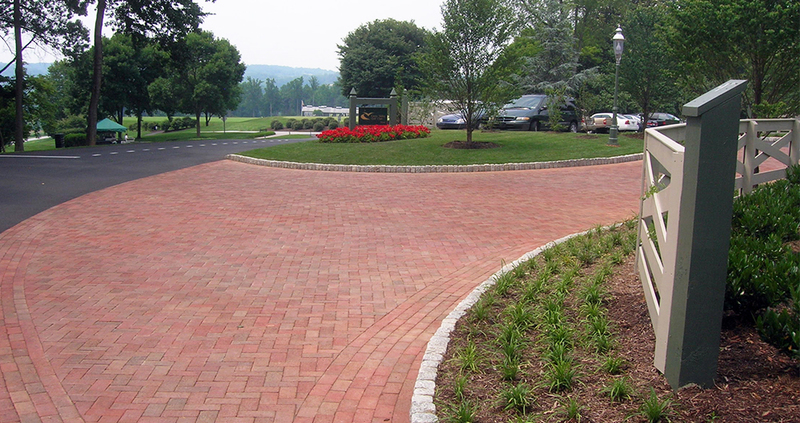 MRA was requested by Caves Valley Golf Club to assist their design team to upgrade their parking, site circulation, lighting and landscape planting. MRA’s landscape architects and civil engineers prepared a design to meet their requirements which required expedited approval of SWM and Erosion and Sediment Control. The 2,500-SF garden, enclosed in the heart of the original hospital, was overgrown and poorly drained. Heavy rains often flooded adjacent office space. 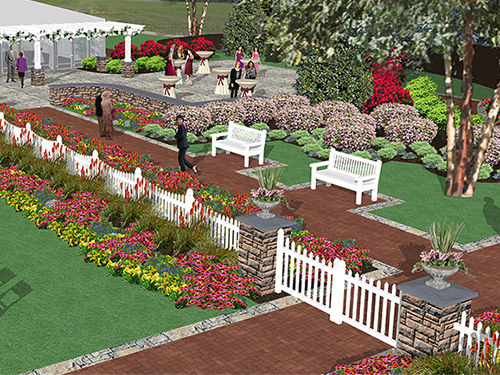 MRA evaluated the existing garden and proposed a renovation plan. A small bubbling pit, symbolic of a spring, was created as a source for the new rock-lined stream bed. Water from two recirculating pumps was introduced here and at several points downstream, so that the stream became gradually more active as it approached the restored pond. Concrete planting pockets were added to the pond to provide areas for aquatic planting for a more natural appearance and to help support natural organisms that naturally interact with the water to maintain a sustainable clear pond without filtration or chemicals. This project received an “Award of Excellence” from the NAIOP, MD Chapter, in the Exterior Public Common Areas category. AWARDS: Best in America Living Award and Regional Award for Best Landscape Design for a Detached Community by National Association of Homebuilders. Award of Excellence, Project Amenity by NAIOP, MD Chapter. 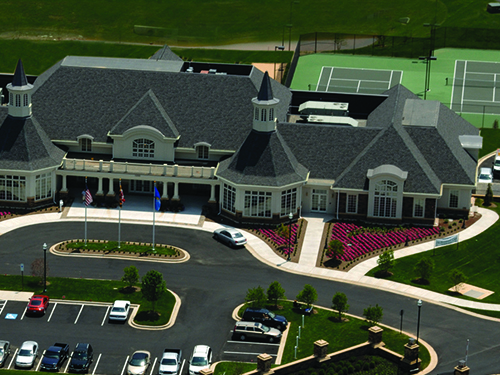 MRA provided planning, site engineering, landscape architecture, and surveying services for the community center and recreation facility located within The Residences at Bulle Rock, a 975-acre, 2,026-unit, exclusive residential golf community. The Residents’ Club at Bulle Rock includes a 40,000+SF, two-story building, indoor and outdoor swimming pools, tennis courts, bocce court, putting green, and large outdoor patio on a six-acre parcel of land. A long retaining wall was designed, with heights ranging from 4 to 13 feet, to wrap around the side and rear of the patio and pool area.